When you’re working long hours in a workshop, you can’t afford to have a piece break or rust – that’s where machining lubricant, also called cutting fluid, comes into play. Companies like Maglube have been providing these products for decades and every seasoned mechanic is familiar with their brands, but picking the right lubricant for your unique situation can be tough. What are the qualities to look for in a good machining lubricant? There are several important standards which any good cutting fluid has to meet. Firstly, these lubricants must be considered sterile – they cannot allow for propagation of fungi, bacteria, or any other possibly dangerous conditions. They must also prevent rust while reducing tip welding, insuring a lubricated edge on your cutting tip. Lastly, the lubricant must manage the temperature of the machining surface. If the temperature isn’t properly regulated, the machinery may warp or shatter. How much machining lubricant is necessary? This is an issue that has been debated over the last few decades. Although the old standard was to apply lubricant liberally and keep the machines constantly oiled, often supported with flood cooling systems that dumped the lubricant all at once, MQL machining has seen a much heavier level of use since the rise of environmental advocacy. 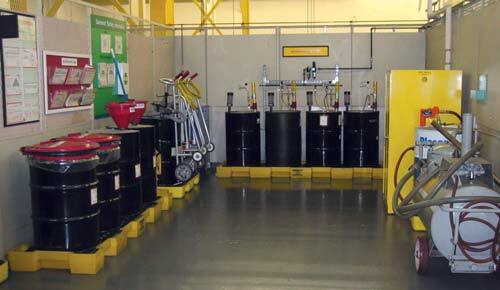 Maglube is one of the many companies to champion this style of minimum quantity lubrication in recent years. This style involves using a smaller amount of much higher quality lubricant, which reduces carbon footprints and eliminates the need for a lofty coolant disposal system. What different kinds of machining lubricant are available? Although the different varieties of lubricant vary based on quality and usage, they also vary based on composition – while some lubricants are oil-based and gels, others are oil-water based, made into an aerosol or pumped as a mist. While not all of these lubricants are suitable for all machines, it’s important to make sure that you spend time checking which fluids serve your machine before you make a decision.